We stock all general requirements for the daily operation of most computers – cables, hard drives, mouse, keyboard, cleaners, routers and USB hubs etc. The range is being constantly evolved and expanded as we further ascertain customer requirements. We are official Toshiba stockists and can compete with and beat the larger chains on the price of our new or custom build computers. Our range of projectors caters for home, office and gaming uses that suit all budgets. Additionally, the screens, ceiling mounts and an installation service is also available. 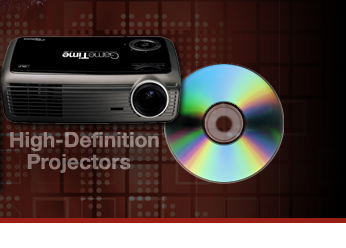 You can even rent a state of the art projector with built in DVD player, amplifier and speakers. These have proven very popular for birthday parties, wedding and anniversary parties as well as simply the peace of mind of trying before buying. Prevention is better than cure! Through research and experience we have elected to sell the most comprehensive and user friendly anti-virus software available – AVG, the fastest growing provider of internet security available today. We have a package to suit all, and can install, set up and run the first scan for you, at no additional cost and no labour charge! 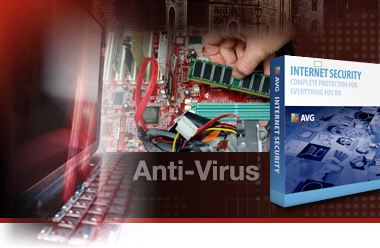 In our opinion, AVG represents a milestone leap in personal internet protection. Tests carried out at our Windsor store have shown that replacing existing well known brands such as Norton and McAfee with AVG reveal how little those rival brands actually manage to filter and block spyware, viruses and tracking cookies. They can also demand excessive processing power and thus slow down the performance of your computer.